We are seeking 100 committed gold investors for our 2017 Gold Portfolio. From USD 5,000 of your investment, your gross profit will be approximately 5 to 8% (more details below). The minimum investment amount is USD 5,000, and your investment fund will be committed for two weeks. Your investment fund and net profit will automatically roll over in next two weeks unless we have received your Withdraw Request prior to 72 business hours of closing period. Once your withdrawal is complete, you can re-entry the first week of each quarter. Also, you can increase or reduce your investment fund the first week of each quarter as well. ​If you are interested, please fill out this form, we will contact you within 24 hours. How much investor's fund is guaranteed? What level can new investor participate? 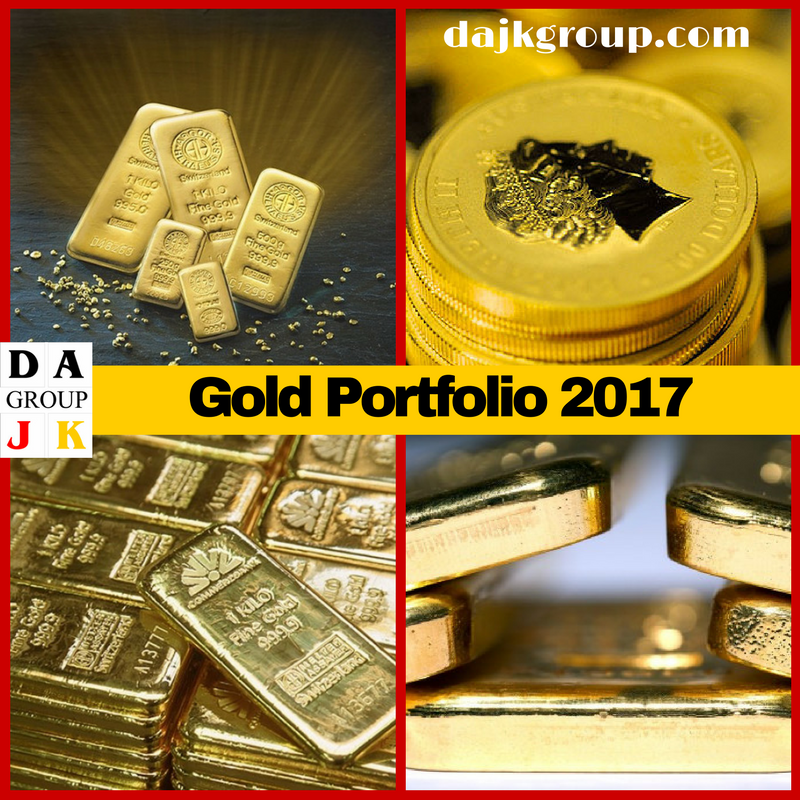 How many level for 2017 Gold Portfolio? What is our total fees to investor? Our flat fee is one percent (1%) per distribution on the gross profit. How often is the distribution? Investor can choose bi-weekly (14 business days) or reinvest. Investor must submit his distribution request in writing via his registered email 72 business hours prior of next two-week cycle. When can investor terminate his investment? After full 30 business days, the investor can terminate and request for full repayment beginning of every two-week cycle. Investor must submit his cancellation request in writing via his registered email 72 business hours prior of next two-week cycle. Once your withdrawal is complete, you can re-entry the first week of each quarter. Also, you can increase or reduce your investment fund the first week of each quarter as well. When can investor advance to next level? All investor must be committed fully 30 consecutive business working days prior he will eligible proceeding to next level if he wants to. 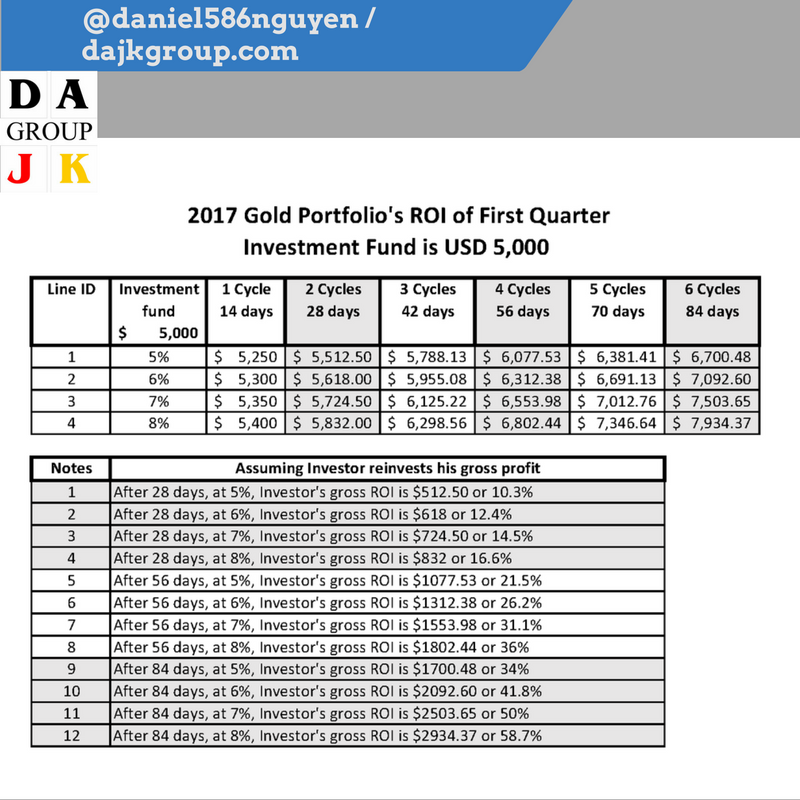 Can investor purchase gold commercial rate from us? Yes, after investor has completed Professional Level, he is eligible sending us the Letter of Interest. 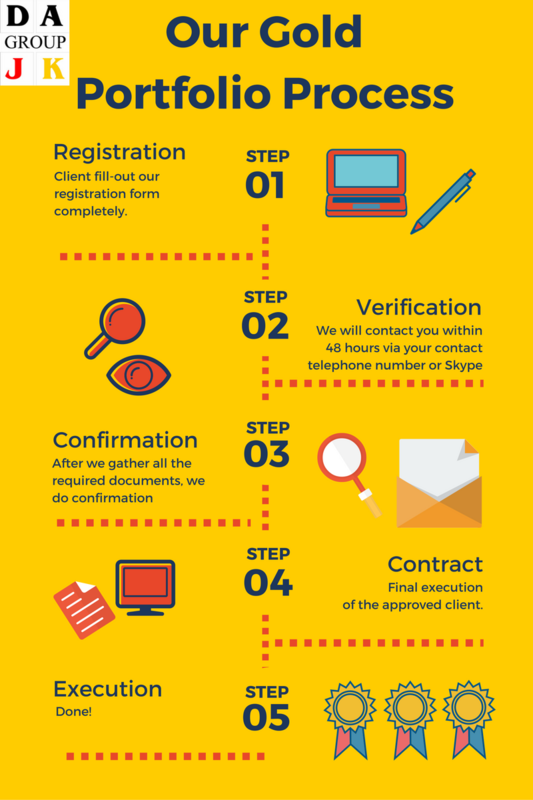 ​Should you have further questions, please contact us.